Gaea (or Gaia, or Gea) is the greek Goddess of the Earth, or Mother-Goddess. The name is composed of "Ge" or earth and "Aia" or grandmother. She brought forth an incredible number of gods and mortals. 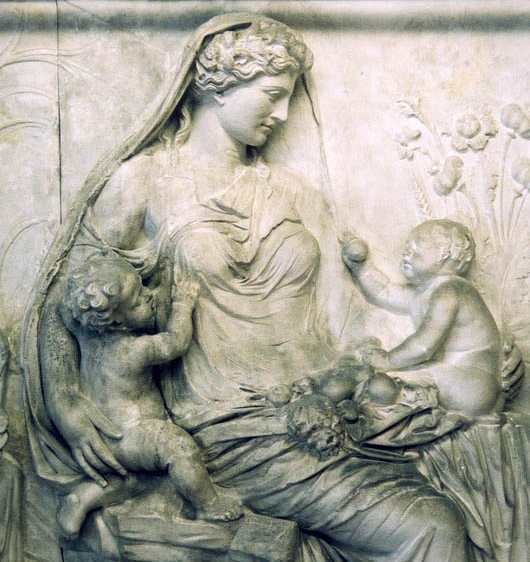 She "married" her son Uranus and is the grandmother of Zeus. Each God or Goddess had a different function, so offering for a given wish required some knowledge. In the absense of a helpdesk a greek inscription found in a temple asks the local God which God or Goddess to approach! "Greek Mythology.com" is a good site for the various myths about creation in which Gaea plays an important part.